Botox, Dysport and Xeomin are comprised of a naturally-occurring, purified protein. They can be used to safely and temporarily disable muscles by blocking the transmission of neurological signals. It is strategically administered to prevent contraction of specific muscles that cause creases, wrinkles and other aesthetic issues of the face and neck. Expert knowledge of facial anatomy is the key to outstanding results. Precise dose and placement determines success of the treatment. Dr. Cox is internationally recognized for her skills as an injector. 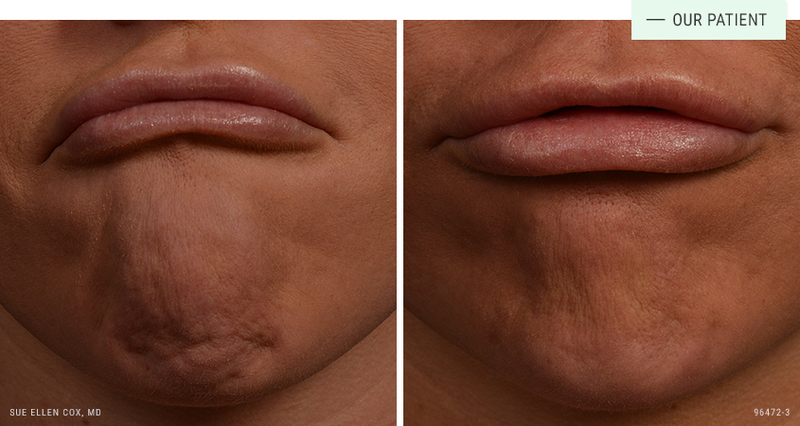 Before | After: Neuromodulators provide a smoother appearance at rest to the forehead, crow’s feet and upper lip. 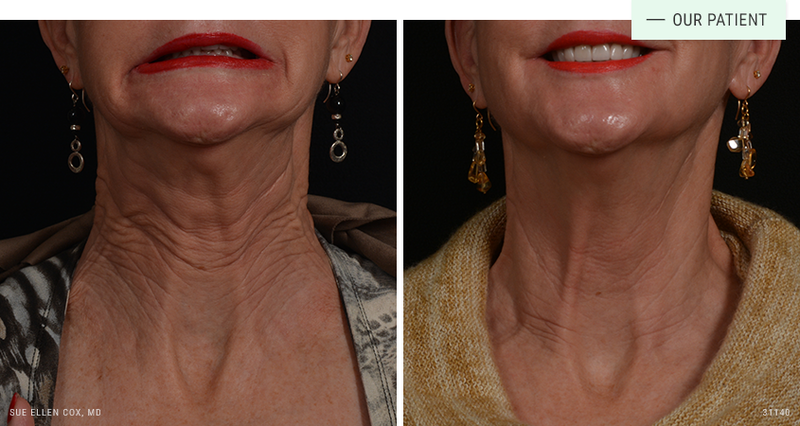 Before | After: Using Neuromodulators in the neck decreases the appearance of wrinkles when at rest. Before | After: Dr. Cox commonly uses neuromodulators to reduce the appearance of “gummy” smiles. 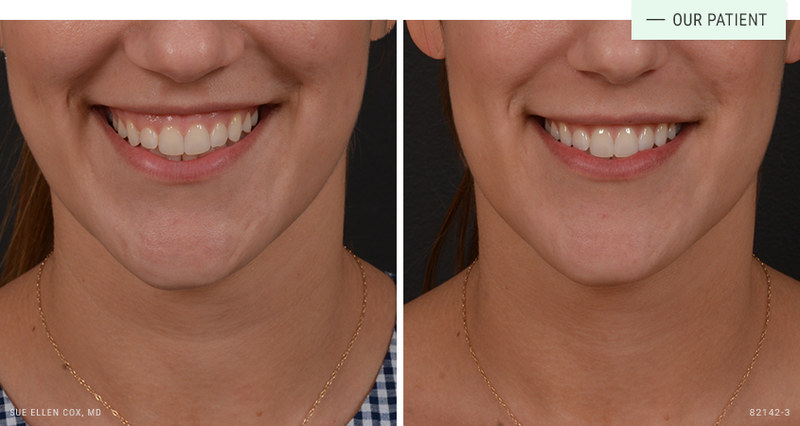 Before | After: This patient was bothered by the scarred, or “pebbly”, appearance of her chin. Post-treatment her chin appears smoother. 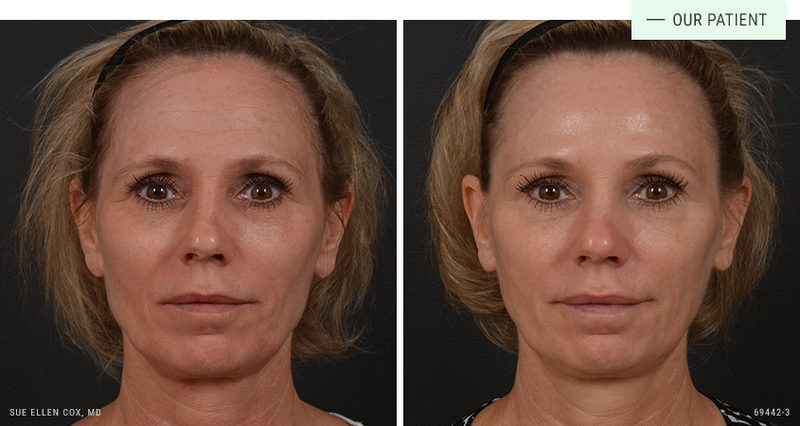 Before | After: Dr. Cox used neuromodulators to reduce the appearance of “11” lines between the brows. Before | After: This patient was bothered by her crow’s feet prior to treatment. The results include a subtle lift of the brow. Before | After: Christie Brinkley’s beauty “secret,” the Nefertiti Lift. This treatment relaxes neck bands that pull down the lower face. 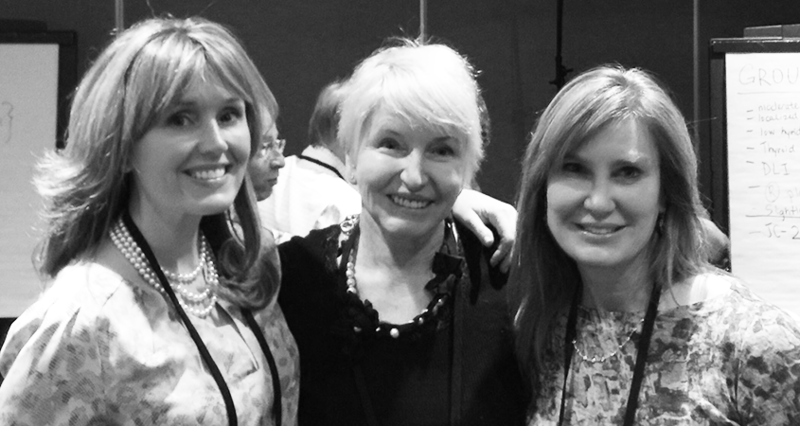 Expertise: Dr. Cox with friend Dr. Jean Carruthers, who pioneered Botox for cosmetic use, and Dr. Shannon Humphrey. The FDA has approved Botox, Dysport and Xeomin to safely treat wrinkles. It has an excellent safety profile. Like any surgical or non-surgical procedure, there are risks. As an international teacher and trainer of other physicians in facial anatomy and injection technique, Dr. Cox stresses the importance of finding an experienced physician who understands the finer points of injectable treatment. Botox, Dysport and Xeomin treatments are well tolerated. The treatment is comprised of a series of precise injections with a very small needle. This process only takes a few minutes. Patients often compare the feeling to having their eyebrows plucked. There is no downtime associated with Botox, Dysport or Xeomin. Once the injections are complete, there is typically mild swelling and redness around the pin-prick injection sites. This dissipates within a few minutes. Effects become noticeable within three to four days, with full results two weeks after treatment. Botox, Dysport and Xeomin treat dynamic wrinkles. Dynamic wrinkles appear when muscles are contracted as you smile, frown, laugh, furrow your brow, and make other facial expressions. Treatment will reduce or eliminate the appearance of dynamic wrinkles in the treated areas. 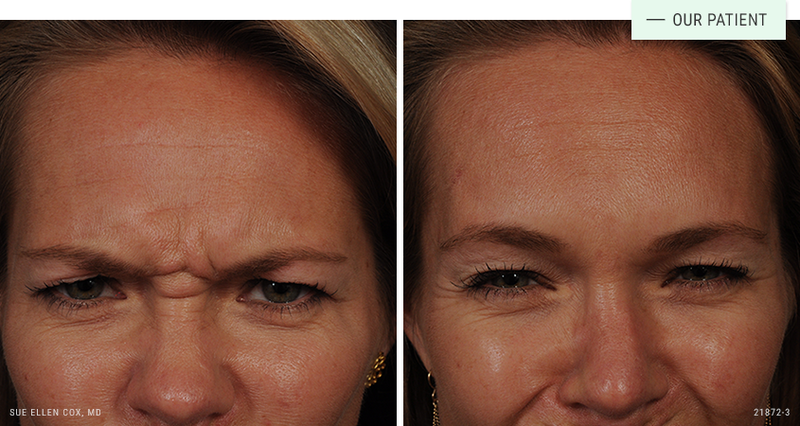 Static wrinkles are “etched in” and remain visible even when your facial muscles are at rest. Over time, the absence of muscle contractions improve the look of static wrinkles and may prevent future ones from forming. 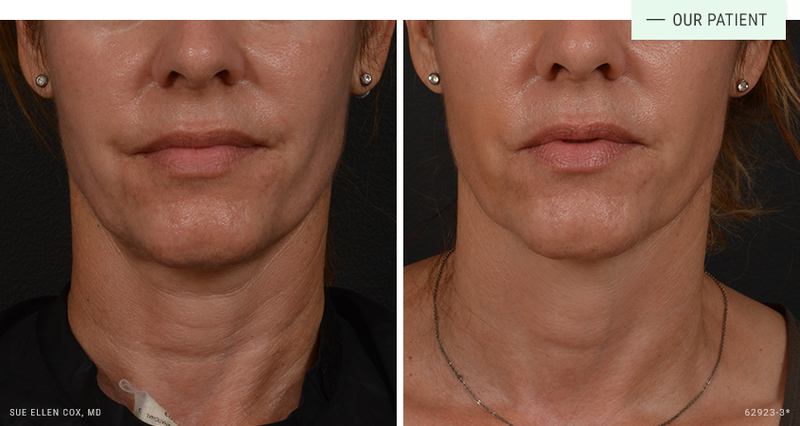 In addition to treating wrinkles, Botox, Dysport and Xeomin can also be used to elevate the brow, reverse “downturned” lips, correct “gummy smiles” and “bunny lines” and shape the jawline. 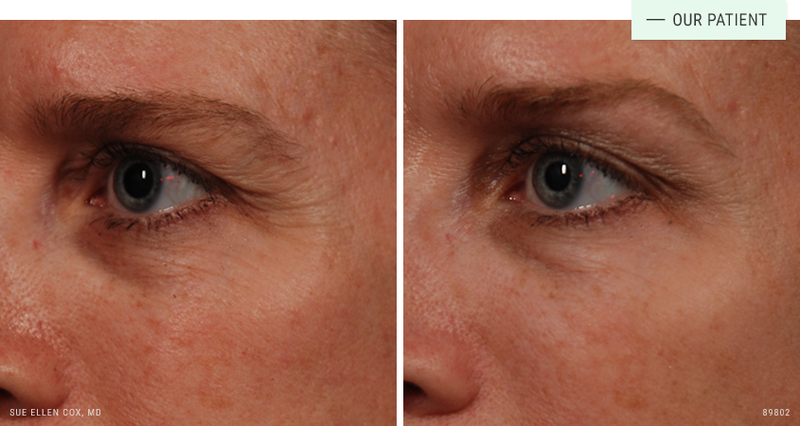 Botox, Dysport and Xeomin duration ranges from four to six months. I drive 1.5 hours each way to see Dr. Cox. It is so worth it! I have tried local PS and Dermatologist and no one can provide the results she can. Her staff is very helpful and pleasant. I always look so much younger after I receive a simple botox brow lift . She is great with fillers too! I highly recommend their office for anyone wanting to look younger! Dr. Cox is amazing! She knows what will make you look better and what won’t. She is a magician with Botox and great with fillers also. I am so happy I found her and I highly recommend. When I moved from Chapel Hill, I looked for another doctor to take Dr. Cox's place , but nobody was able to produce the natural, effective results that Dr Cox provided. I now drive 2.5 hours from Charlotte when I need another Botox injection. It's worth the drive!